This is pretty much impossible to see from the ground, and strangely enough, this place has no name on any topo map. It lays right inside the Arizona border with Utah along the Hurricane Cliffs between Hurricane Wash and Fort Pearce Wash and just north of Coyote Spring. Looking very similar to the elevation lines you would find on a detailed topographic map, these are ridges that have slowly eroded away over time. 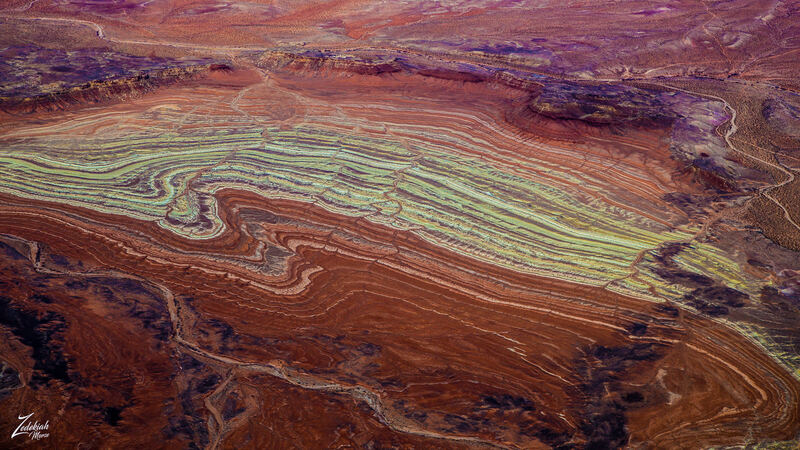 This formation sits next to Coyote Springs on Yellowhorse Flat and like the entire surrounding area, is part of the Grand Staircase and the Vermillion Cliffs. 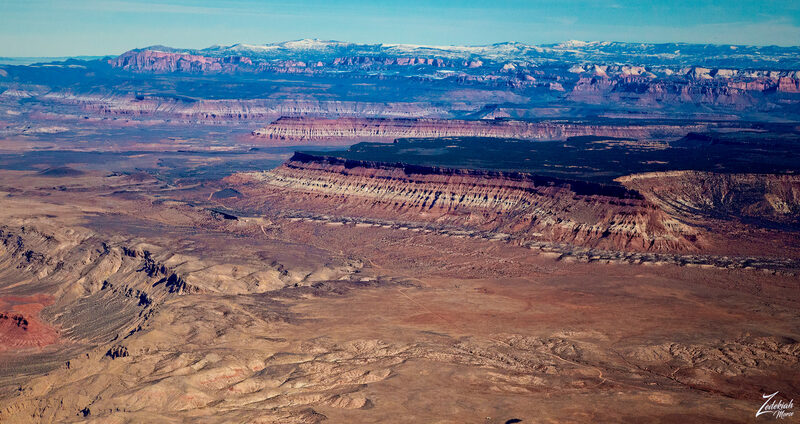 The image below is from directly above Coyote Springs looking north into Zion National Park. Gooseberry Mesa tain is in the foreground and the length of Zion is on the horizon. In this following image, we are directly above Coyote Springs looking to the east towards Pine Valley Mountain on the horizon. 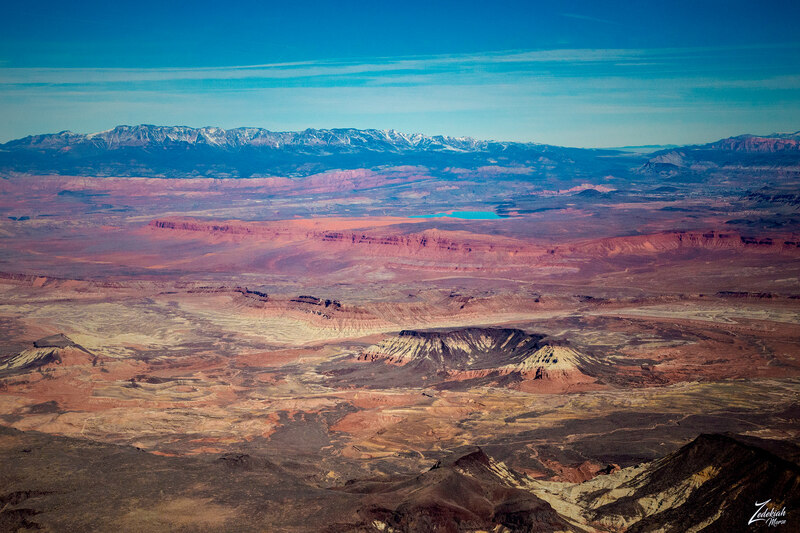 In the foreground is Yellowhorse Flat and Sand Mountain with its bright vermilion cliffs runs horizontally through the middle of the image. 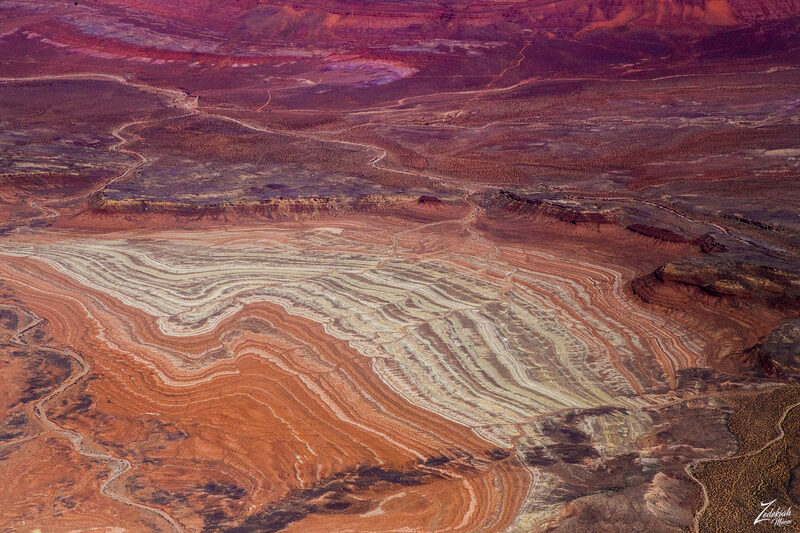 In this image below also taken directly above Coyote Spring, we can see a variety of other brightly colored odd geologic formations. 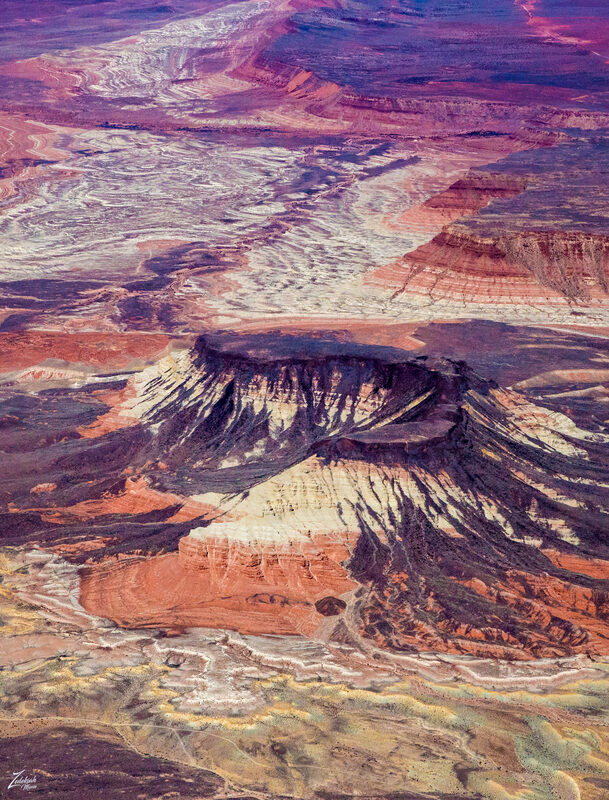 This area is full of heavily eroded formations as this is the edge of the Escalante Grand Staircase formation which goes from Zion National Park, across to Bryce Canyon National Park to the Capitol Reef National Park and then all the way down across the Kaibab Plateau into the Grand Canyon.